Joseph Abboud Leather Slimfold Wallet Only $9.99 Plus FREE Shipping! You are here: Home / Great Deals / Joseph Abboud Leather Slimfold Wallet Only $9.99 Plus FREE Shipping! This bifold wallet has a look of style and sophistication, but without the bulk of a normal trifold wallet! 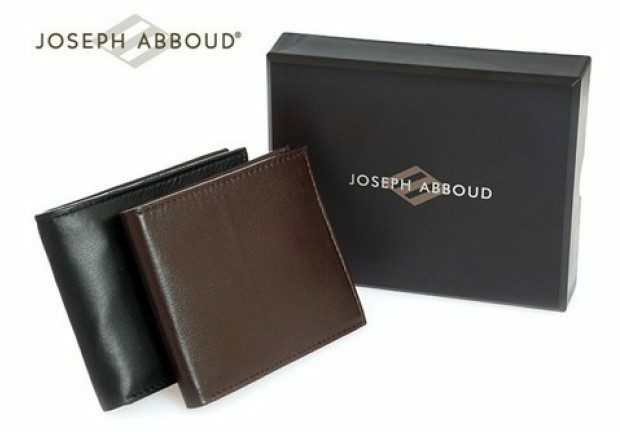 The Joseph Abboud Leather Slimfold Wallet for Only $9.99 Plus FREE Shipping has 3 credit cards slots, an ID window and an open cash pocket!